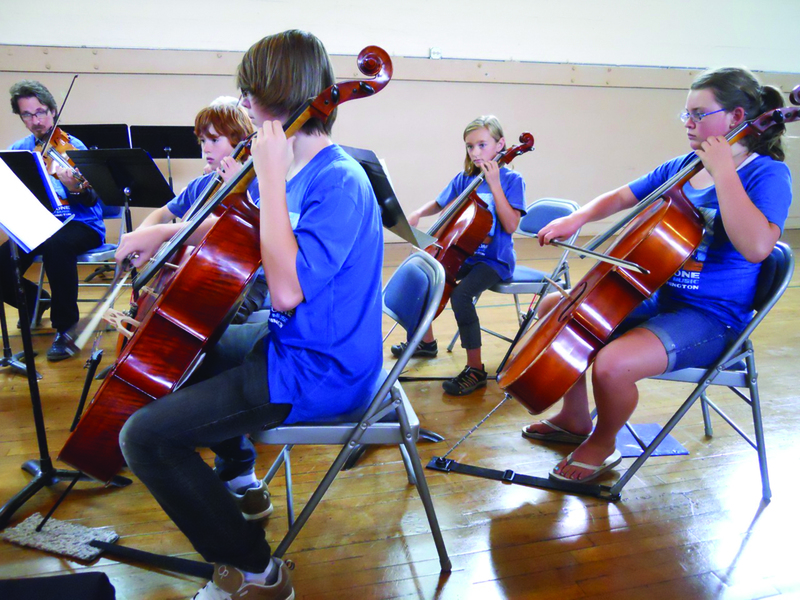 The Pipestone Summer Music Camp takes place July 28-August 1 at the Methow Valley Community Center. The camp is divided into two sections: String Orchestra 9:30-2pm for children 8 and above who have played at least one year and competently read music and Chamber Music. For students with a minimum of 3 years and who read music fluently camp takes places from 12:15-5pm. This portion is also open to string, winds and guitar. The fun, high-energy week of music education offers partial day and full day enrollment. The environment fosters personal growth and collaboration. An accomplished faculty of local and visiting musicians provides instruction in strings, flute, guitar, piano, string orchestra, small ensembles and adult chamber music. The camp is scheduled in conjunction with the Methow Valley Chamber Music Festival providing students with the opportunity to attend open rehearsals and concerts. Plus they receive coaching from visiting festival musicians.